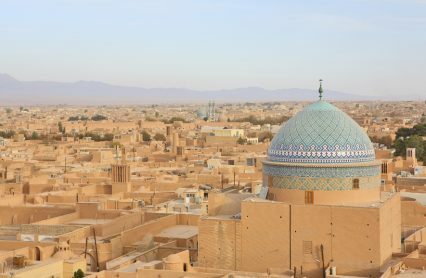 Iranian banks have resumed their trade finance operations, and international banks are slowly coming back to the market following years of sanctions-related paralysis. Swift officially announced the completion of the onboarding process for delisted Iranian banks today (February 17), through a statement published on the country’s central bank’s website and verified by Reuters. “We will continue to work with the remainder of the entities that have applied to rejoin Swift to ensure their smooth reconnection,” Swift UAE country manager Onur Ozan says in the statement. During a panel about Iran, EGFI board member deputy CEO Arash Shahraini told the audience that a number of Italian banks, including Mediobanca, had reopened their business with the country. Small regional banks in Europe with few US interests continued to do business with non-listed Iranian banks even during sanctions, but there have been concerns that bigger financial institutions would not go back to the market for fear of violating remaining US sanctions. However, off-the-record conversations at the event revealed that a large northern European bank was starting transactions “on a case-by-case basis” this week, and that another large UAE-based bank was open to handling Iranian business. It appears as though banks of an increasingly significant scale are reopening their Iranian business in a very careful and compliant manner, but very few of them are willing to publicise it. This is good news for the hordes of global corporates waiting to jump on the Iranian bandwagon: “Which banks are willing to support us in Iran” was the most recurring question at the event.